Students explore both 2D and 3D models of proteins in order to discern the structure of a small protein, the hormone insulin. They connect the structure to its triggering function at a receptor site for the hormone. 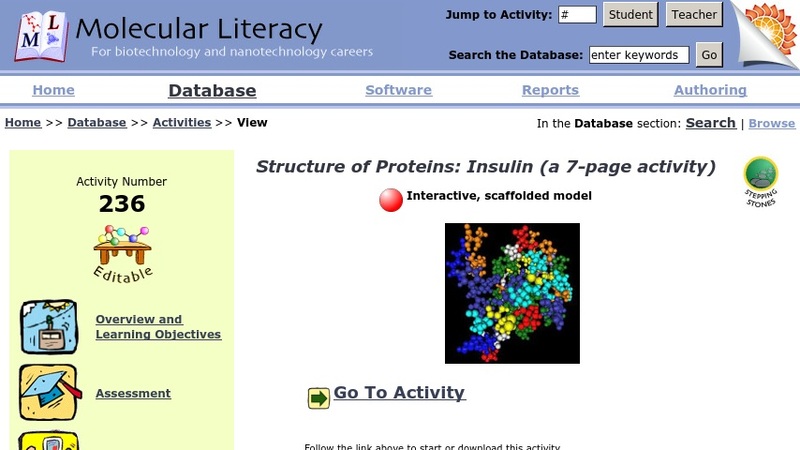 Students will be able to: Describe the four levels of protein structure; manipulate both 2D and 3D models and describe significant features of the insulin molecules.